Looking for a seasonal getaway by the sea? Our awesome Sussex holiday cottages have everything needed for the ultimate Christmas break. With crackling fireplaces, comfy furnishings, flat screen TVs, and a host of family-friendly entertainment, the following five cottages are especially well-suited to get everyone into the festive spirit. The perfect retreat for a snug winter getaway! 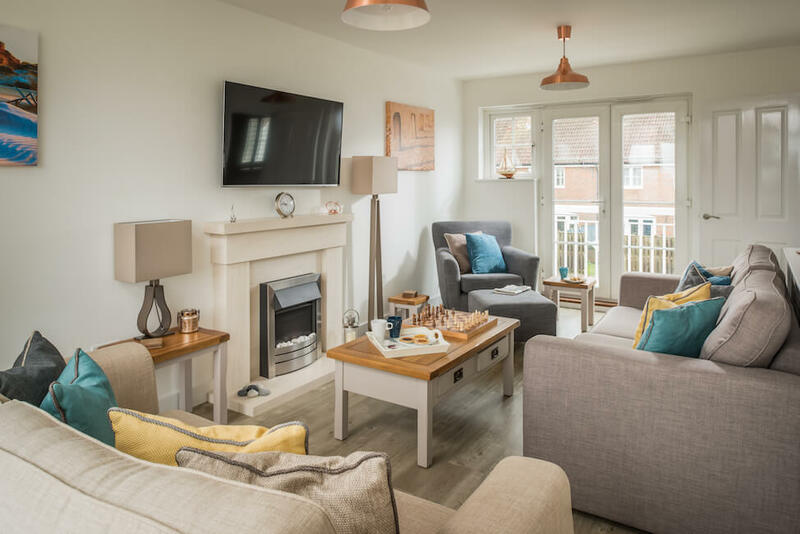 The historic Coastguard’s Lookout (dating back to 1875) combines traditional features with modern comforts to make you feel right at home, and the beach is just a few minutes’ walk away. Chat over morning pastries and coffee in the open kitchen/dining room. Then head out for a coastal stroll, explore the misty Romney Marsh, or pick up ingredients for dinner in nearby Rye. Local pubs with roaring fires and cracking ales might just tempt you to stay out late. Relax back at the cottage in your snug lounge. Host a movie night on the flat screen TV, play games on the Xbox, or read a Christmas novel beside the log-burning fireplace. The cottage also has a dining table and benches in a south-facing garden – the ideal spot to tell ghost stories over hot chocolates. Retire to the spacious master bedroom, furnished with a king bed, and expansive views over the marsh. Above, an attic room lets you soak in the bathtub while gazing at the stars. Little ones will love camping out and dreaming of Santa in the second bedroom, complete with sea views, a flat screen TV, and two zip and link 3-foot beds. Push the beds together to make this a cozy couples’ retreat! 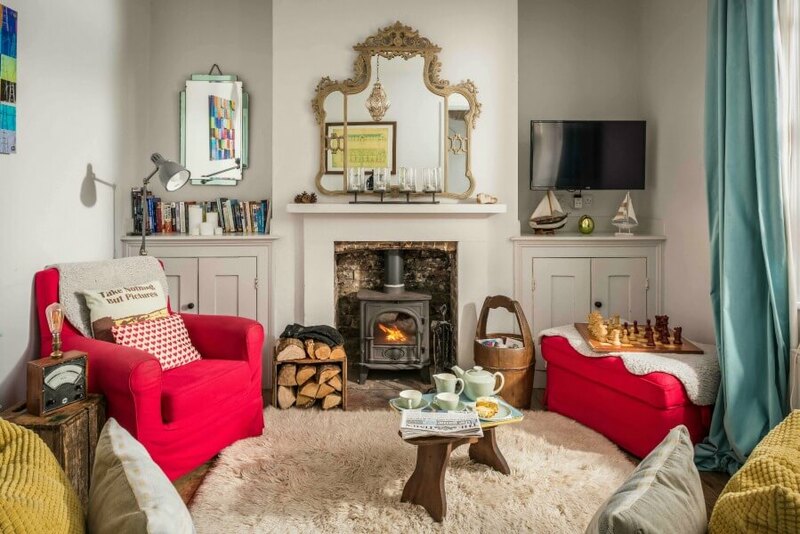 Dating back to 1875, Coastguard’s Beach House has been lovingly transformed into a beautiful holiday cottage. The beach is a just stone’s throw from your door, so you can start your day with a walk beside the waves. 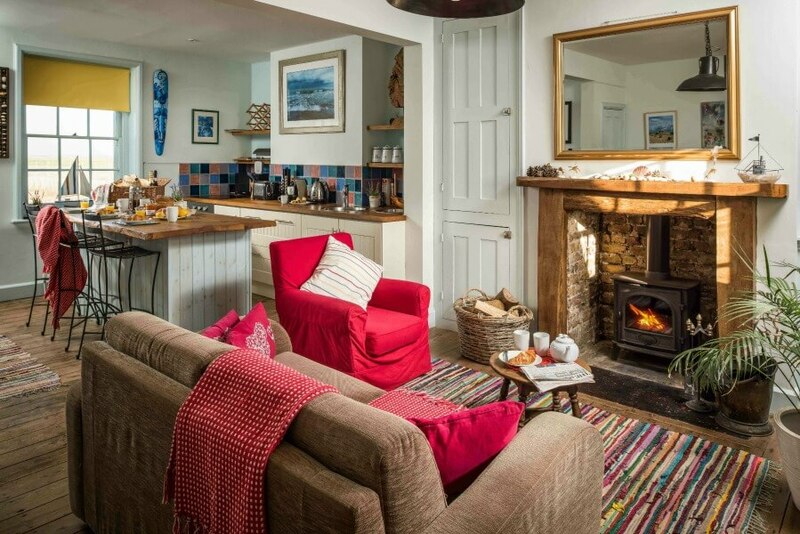 After a bracing day in the sea air, whip up a festive-themed meal in the cottage’s newly equipped kitchen. While dinner simmers, snack on roasted chestnuts or your favourite box of chocolates. The south-facing fully enclosed garden offers a private spot to chat after your meal. Evenings are best enjoyed with mulled wine and a spot beside the crackling log burner. Read a good book, or write your Christmas shopping list before a day among the boutiques of nearby Rye. Curl up at night in the comfy master bedroom, offering a double bed and sea views. Or make yourself at home in a guest bedroom with a single fold-away bed and views across the marsh. 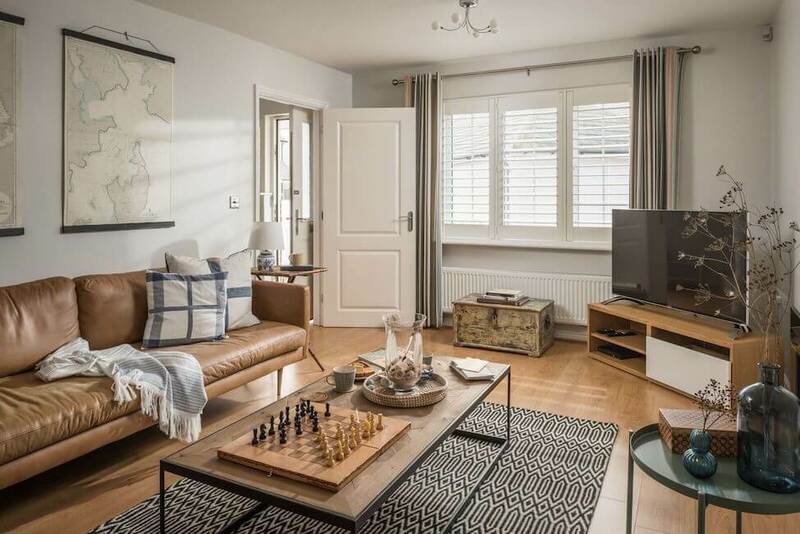 Spotlessly appointed and full of modern comforts, Beach Boutique is the kind of cottage you could happily hunker down in for an entire holiday. But if you feel like a breath of fresh coastal air, it’s just a 5-minute walk to the windswept shore of Camber Sands. If you choose to stay at home, enjoy socialising in an open living area with a plush sofa and snuggle seat. Spend the morning baking gingerbread men in the contemporary kitchen. Then sprawl back for a Christmas movie – the cottage has two HDTVs with Sky’s Now TV service, Sky Sports, and Sky movies. A four-person white dining table awaits to share sit-down meals. 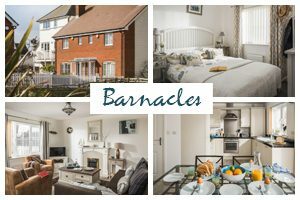 In the evenings, play family board games, fire up the PlayStation 4, or take in the sea air in the charming enclosed garden Then uncork a bottle of wine and curl up beside the gorgeous electric fireplace. With high-speed Wi-Fi, it’s easy to browse the net for last-minute Christmas shopping. Ready to snooze? The inviting master bedroom boasts a double bed, and a 32” smart TV with Sky TV. In the second bedroom, two comfy single beds are decked out in coastal blues and whites. 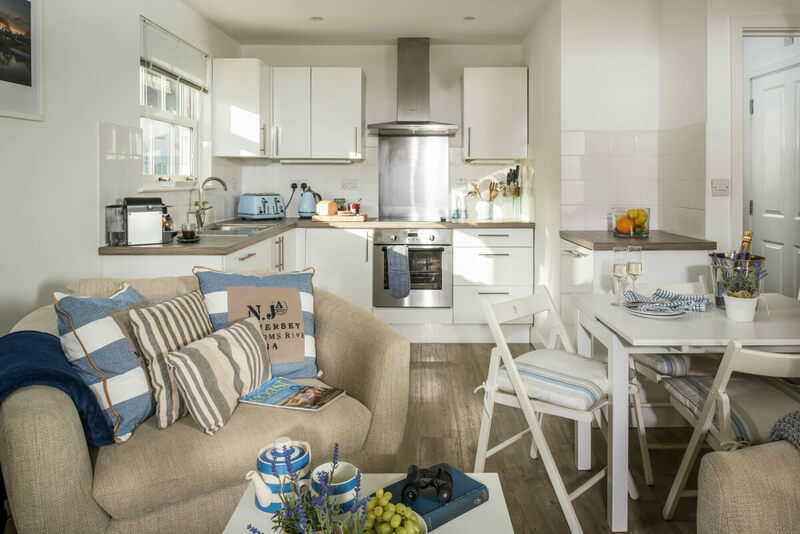 Christmas is all about family time, and the newly refurbished Salty Towers offers three stories of living and sleeping space that big groups will love! Coastal decor adds a by-the-sea vibe to a large living room with comfy sofas, a flat screen TV, and panoramic marsh views. On chilly days, play board and card games. Or bundle up and walk five minutes for a refreshing coastal stroll. The nearby town of Rye is a quick drive away for inviting pubs and Christmas shopping. The cottage has a kitchen diner and a large kitchen on the ground floor, so there’s plenty of space to whip up hearty family feasts! Enjoy formal meals in a refectory-style dining table, with comfy seating for 10. In the evenings, head outside to the secluded garden. Enjoy chit-chats beneath the stars over a steaming glass of mulled wine. 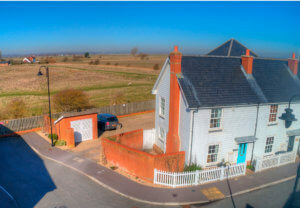 The cottage offers three formal bedrooms, including a master bedroom with a king bed, a guest bedroom with a double bed, and a third bedroom with two single beds. There’s also a double sofa bed in the living room, and another double sofa in the study/bedroom. 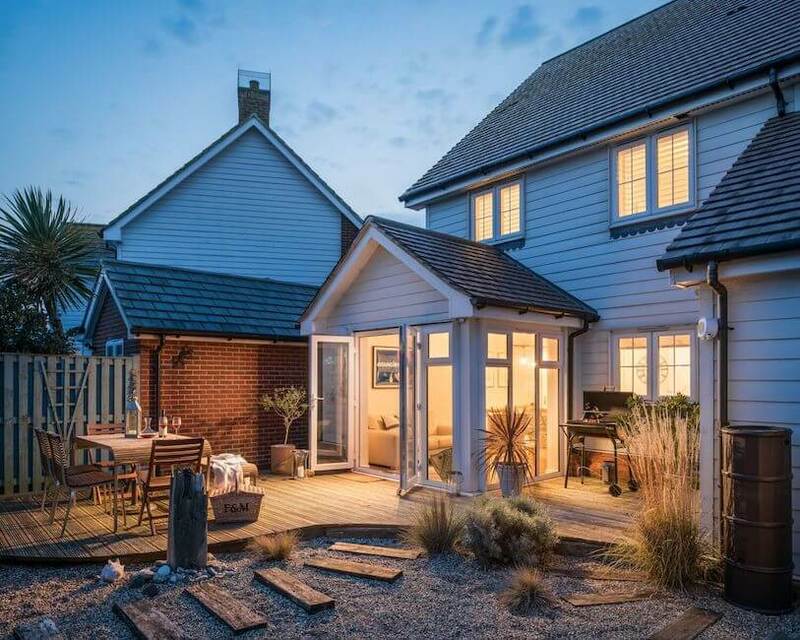 Bring your festive cheer to this gem of a coastal retreat. 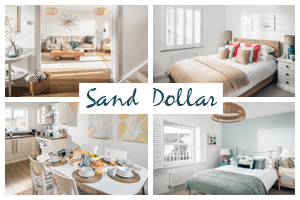 The light-filled Seaglass cottage impresses with magazine-worthy interiors, nautical-chic décor, and a host of extras to fill your days with fun. Wake early for a morning stroll beside the sea – the waves are just a few minutes’ walk from your door. Or take a short drive for a day trip in nearby Rye, or slightly further to history-filled Hastings. After a day of adventure, warm toes beside the living room fireplace. An open design lets everyone spend time together, whether you’re chatting at the farmhouse dining table, or baking mince pies in the contemporary kitchen. Settle back in the living room for a festive movie on the large flat screen TV. If you’re happy to brave the elements, make a hot toddy and chat around the dining table in the enclosed garden. Luxury Egyptian cotton bed linens feature in the three inviting bedrooms, including a master bedroom with a king bed, a second bedroom with a double bed, and a third bedroom with two single beds. Feeling inspired to enjoy a Christmas break at one of our cozy cottages? 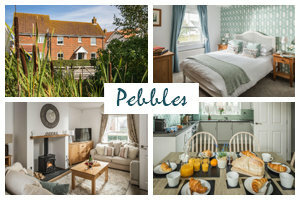 Pick your favourite from our holiday cottages today.